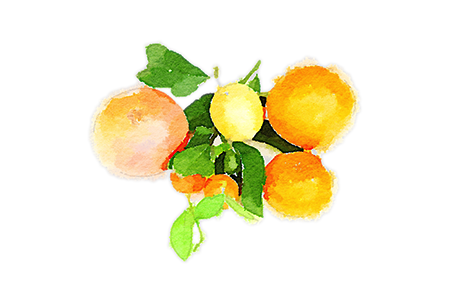 A laden lemon or orange or cumquat tree is a lovely sight, and can brighten the darkest winter day. Quarter slices of well-buttered wholemeal bread, topped with a paper-thin slice of Meyer lemon, a freshly-shucked oyster, and a suspicion of black pepper. This savoury must be single bite size. Choose one of the fine Australian cultured butters. A sharp tang of lemon, with the warming spice notes of cumin and coriander. The texture should be like cream, not porridge. Small portions only! The final float of mandarin liqueur is extravagant but so good. Choose between this recipe and Mel’s seven-day candied peel. And it does take seven days but is super-luscious when completed.